Protect, store and transport your extra-long and oversized brushes with ease. 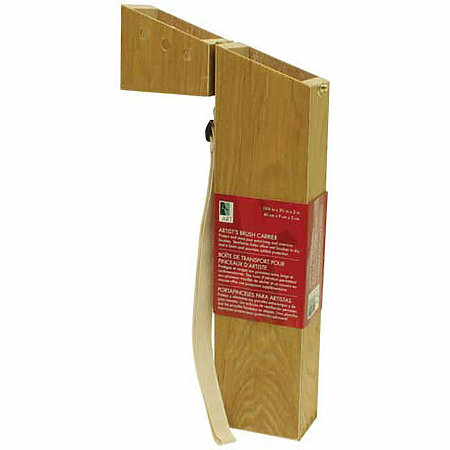 This box is constructed of hardwood with veneer, and features durable finger-joint construction. It is hand sanded and finished with sturdy brass hinges and latches. The adjustable woven canvas shoulder strap lets you take your brushes with you anywhere you go. Ventilation holes allow brushes to dry and a foam insert provides padding for added protection. It measures 15-7/8" x 3-1/2" x 2".